Benson Henderson getting his Black Belt! Well, the time has come…. 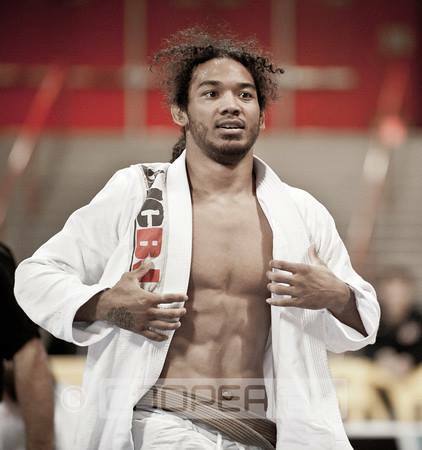 Ben Henderson is getting promoted to Black Belt in Brazilian Jiu Jitsu! Next Monday night, June 3rd, we will be holding a promotion ceremony from 7-7:30 pm in the north parking lot of the MMA Lab. We would like for our entire Lab family to be there to celebrate a very special moment with the best fighter on the planet. We are so proud of Benson and how he has represented himself, his family, and his team through the years with a special sense of purpose and integrity. We are all very excited for this special night. This will not be an autograph/photo session, but we will take a group shot at the end of the ceremony. Can’t wait to see everybody there for this special occasion! This entry was posted on Monday, May 27th, 2013 at 11:37 pm	and posted in News. You can follow any responses to this entry through the RSS 2.0 feed. congrats to ben and his lovely wife maria magana. you won the last fight and you will win the next fight. congrats to ben henderson. you won the last fight and you will win the next fight.